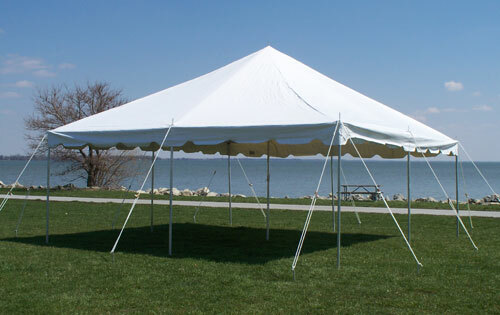 What is maximum wind gusts this tent can withstand if installed properly? This tent is not wind rated. Is this tent water proof? How is its UV Protection? This tent is indeed waterproof as it utilizes a 14 ounce vinyl top. However, the top does not have the blackout fabric that prevents all light from being transferred through the fabric. The top is translucent.